In the middle of the Kitzbueheler alps lies the romantic and family-friendly holiday paradise of ‘Kirchdorf am Wilden Kaiser’. This town, 640 meters above sea level, has approximately 2,300 inhabitants. Cultivated alpine pastures, the Wilder Kaiser mountains climbing paradise, the legendary Teufelsgasse mountain at Hinterberg in Gasteig, lovely mountain paths, a charming country chapel and the quaint pine needle distillery count among the attractions at this romantic mountain resort. The St. Johann in Tirol holiday region offers first-class ski slopes which are easy to navigate and well developed with state-of-the-art ski lifts. Thanks to a choice of 17 cable cars and lifts, waiting lines are a thing of the past here. The area boasts a total of 60 kilometers of impeccable runs for skiers and snowboarders of all abilities; about a third of the slopes are covered in artificial snow to ensure top skiing conditions regardless of the weather. In Kirchdorf and Erpfendorf mainly family-friendly skiing is found, while the Kitzbühler Horn has skiable terrain for all skill levels. The Schneewinkel Ski Pass is valid at 55 ski lifts in the Schneewinkel area, including Fieberbrunn-Hochfilzen and Waidring-Steinplatte. 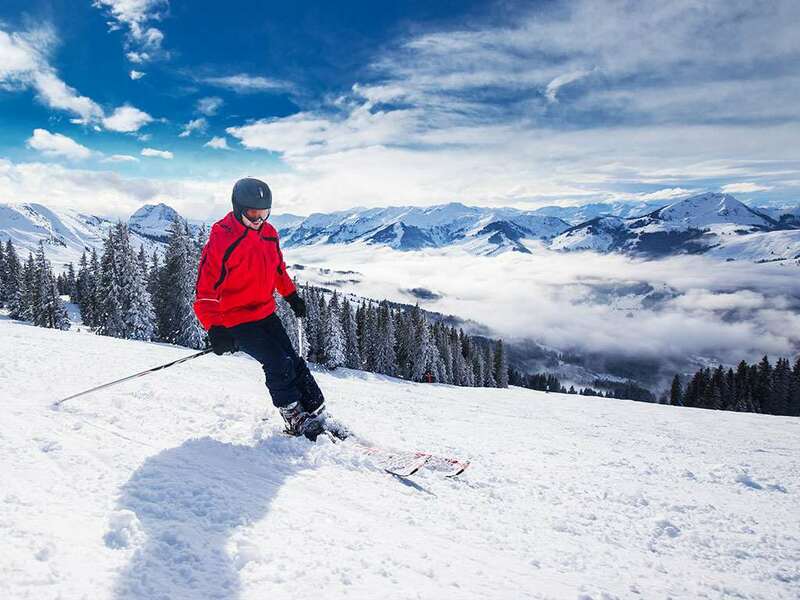 The Kitzbühel Alps Ski Pass gives access to an incredible 676 kilometers of slopes serviced by 247 ski lifts. There are some snow making facilities across the pistes in Kirchdorf which adds extra snowfall for guaranteed skiing throughout most of the winter season. Tobogganing competitions, curling, as well as romantic horse-drawn sleigh rides also provide unforgettable holiday experiences. The Kaiserquell wellness centre can offer a particularly special end to an adventure-packed winter’s day. The modern facilities provide state-of-the-art vitality and bathing areas, saunas, a massage area as well as further services, all of which are dedicated to the well being and relaxation of the guests. 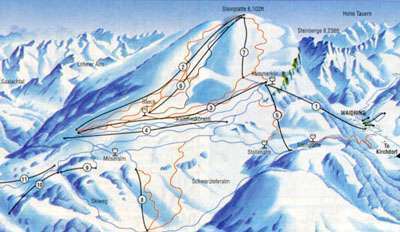 In winter, the skiing resorts at Schneewinkel beside of ski and after ski partying locations offers well much more. The sunny Kaiser cross country skiing routes offer a wealth of cross country skiing and ski hiking opportunities and many well maintained winter pathways that take in welcoming mountain inns. The closest international airport to Kirchdorf ski resort is Salzburg which is a one hour and twenty minutes drive or bus transfer away. We stayed twice at the Marliesenhof, a short walk to the slopes and the little hut where you can store all your gear. Great for beginners and intermediate skiers. The lift pass allows you to take the ski bus to other resorts, like Steinplatte, St. Johann, Fieberbrunn, so you can try a variety of runs. Quite a quiet village, a few shops and bars, and some nice walks. This is a fantastic family hotel , that I stayed in for just over a month . It is close to many places + is a warm atmosphere . In the summer it offers watersports such as white water rafting + If you walk a long the mountain path there is a fantastic park for the children could the versal park . Sorry about the spelling.